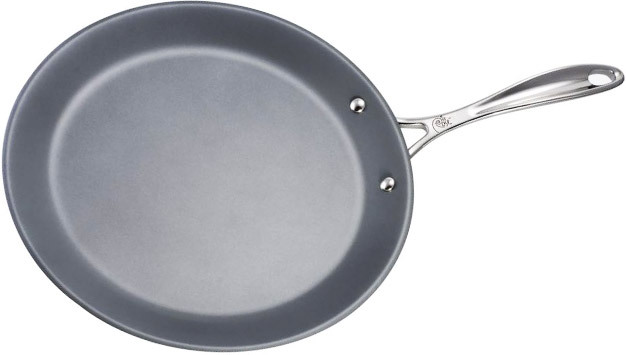 What is pan you ask? 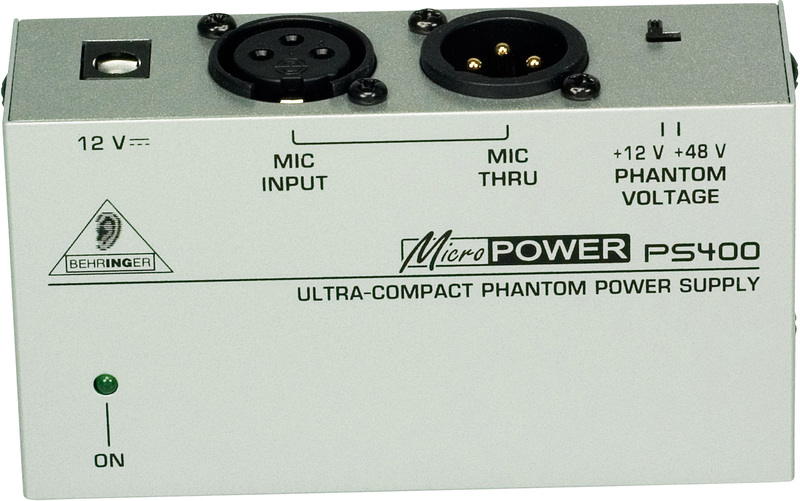 The Pan that I’m talking about is the audio pan control or pan pot (panoramic potentiometer). The knob that dictates how much of the signal gets sent to the left and right main outs. On a mixing board, each channel has a PAN knob. This knob is usually above the fader. If you leave the PAN knob in the middle (at 12 o’clock), an equal amount of the channel’s signal will be sent to the left and to the right. We call this ‘center’. 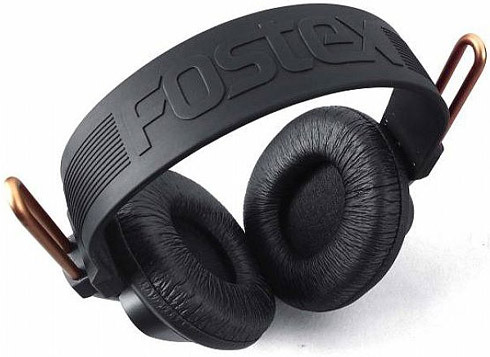 If wearing headphones or standing out in front in the middle of 2 speakers (in stereo), if you listen to a signal paned exactly center, it will sound like the sound is coming from the middle. 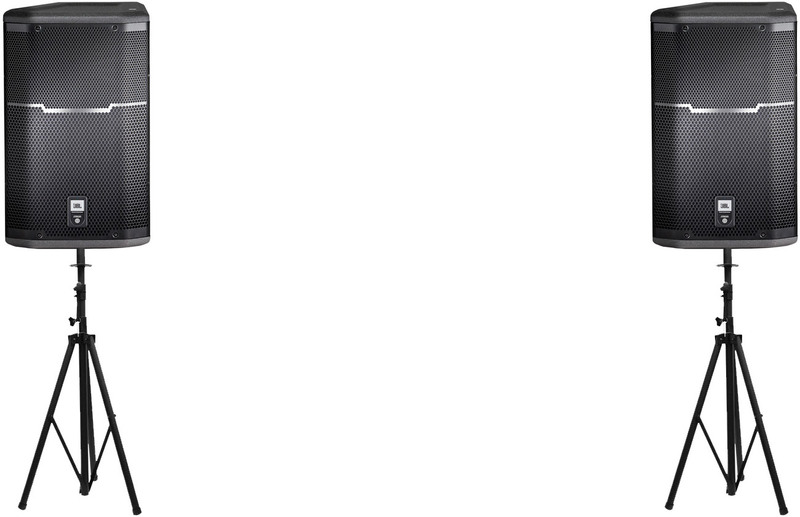 (from in front of you) If the Signal is panned all the way left it will be 100% in the left speaker and not at all in the right. That same goes for the right. For example: If you leave a vocalist panned center, they will sound like they are coming for in between the speakers (when sitting in the center of the audience). Instead of saying, “panned a little to the right”, many audio techs will say, “It’s sitting a little to right in the mix”. 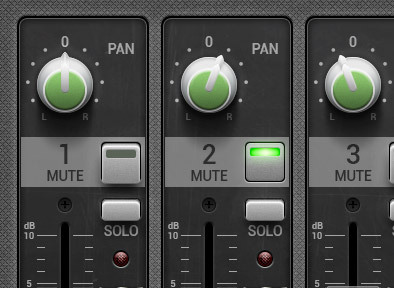 3 Reasons to PAN while mixing live. For the vast majority of music, the most important thing to hear clearly is the lead vocal. The lead vocal should always be heard and should always sit dead center in the mix. It’s a good idea to PAN other mid-range channels away from center so that the lead vocal comes through clearer. The more you PAN away from center, the easier the lead vocal will be to hear. The goal is to make it easier to hear every instrument clearly. When you have multiple instruments or voices that produce many of the same frequencies they should not sit in exactly the same place in the mix as each other. Doing so will result in a loss of clarity. They will clash and it will hard for your audience to hear what they are doing. Multiple electric guitars, multiple toms, multiple background vocals or combinations like fiddle and banjo are examples of things that should not sit in the same place as one another in the mix. Play around with the PAN on your instrument and background vocal channels and find out what works best with your band. Again, the goal is to make it easier for your audience to hear and decipher all of the individual parts in the band clearly. 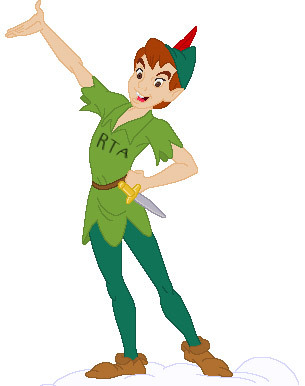 The following is one example of how PAN could be used at a gig. 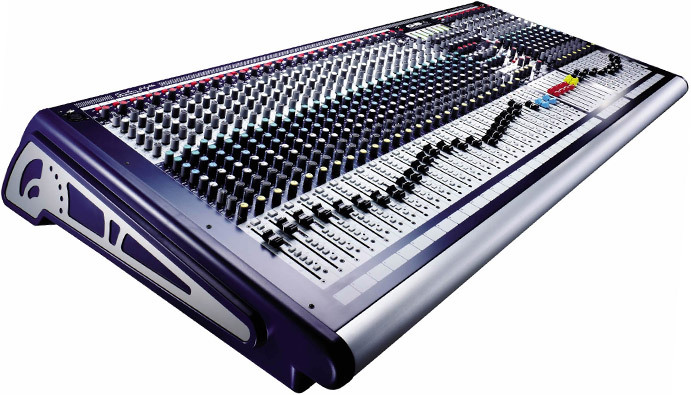 Mixing Live: 3 Tips To Make It Sound Great! There are so many factors that affect the way a mix sounds live! The tech (ear, experience, skill), how good the band is, what equipment is used, the room. In this blog post, I’m going to focus on 3 simple tips for the up and coming audio tech to improve their mix. 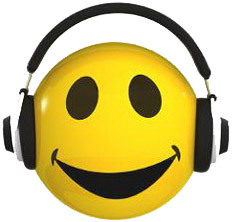 When doing individual line checks, solo the channel you are working with in your headphones. Now, ‘get rid of the bad’. Do this by EQing out frequencies that sound bad. If you are not super familiar with all of your frequencies yet, here is a fast and simple way to do this. 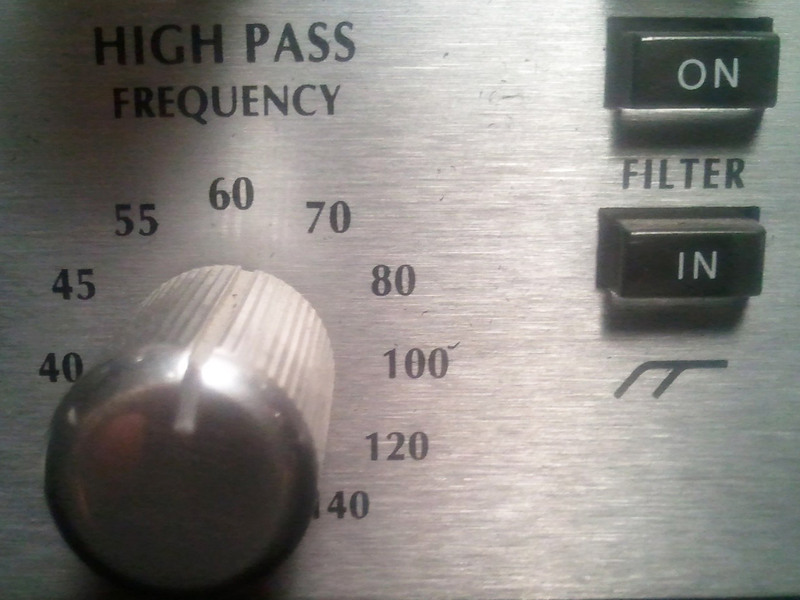 On the EQ for the channel you are working with, find your sweepable ‘mid volume knob’ and turn it up. Now slowly turn the sweepable ‘mid frequency knob’ all the way up and down. If you get to a point where it sounds awful, leave the ‘mid frequency knob’ where it is. Now turn the ‘mid volume knob’ down until it sounds pleasing to listen to. You may have to just turn it down a bit (like at 10 or 11 O’clock). Or if the original sound is extremely harsh, you may want to turn it down all the way. But, be careful not to over EQ if it doesn’t need it. If you take out too much you may lose the tone of the sound source and it may get lost in your overall mix. 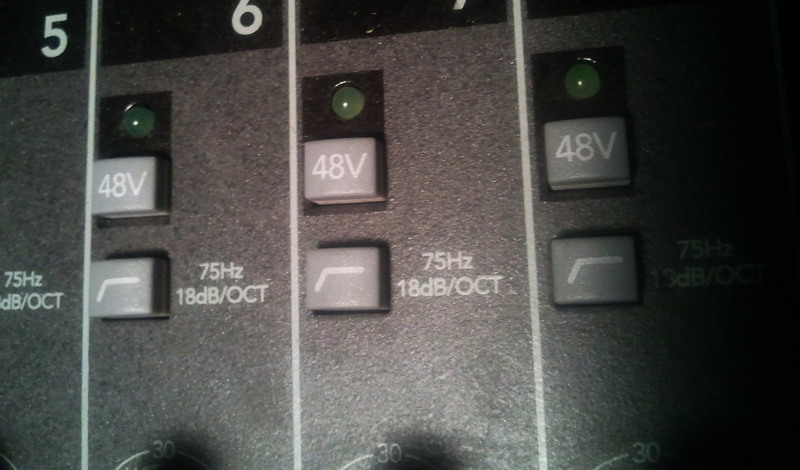 If you have multiple sweepable mid-EQs on your board, you may want to do this with both of your mids. EQ is usually best used taking out the bad as opposed to boosting. The couple channels that I do however regularly boost the bass on are the Kick Drum and the Floor Tom. Not everything you encounter will need to be EQ’d. 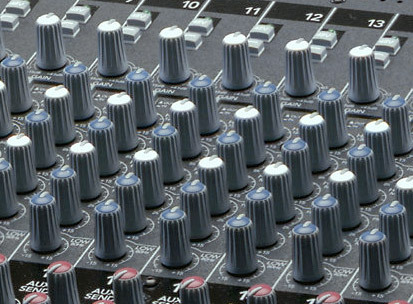 Your mixer should have a low-cut button (same a high pass). This is a very valuable tool! What this does is it takes out all of the low frequencies under usually 100 Hz or 80 Hz. 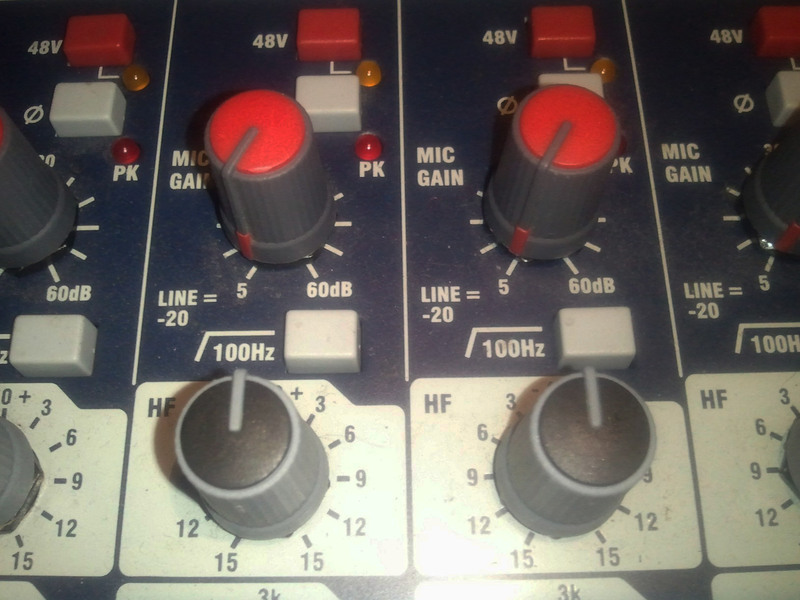 (depending on the mixer) If the sound source you are working with is not producing low bass, you should low cut it. If you don’t, it will just muddy up your mix and you will lose headroom. I usually push in the low-cut button on every channel except Kick Drum, Floor Tom, Bass Guitar, Synths & Samples. One extra thing to note is that Electric Guitar is a mid-range instrument. Guitar Amps have woofers in them. (no sub-woofers & no horns) Electric Guitar channels should have the low cut button engaged. Furthermore, a lot of time I will turn the treble EQ knob down on electric guitar because the amp is not producing hi treble. It will make things sound less harsh and cleaner. Make sure you can hear everything! Ask yourself, “Can I hear all of the instruments and vocals?”. If you see something happening on stage but can’t hear it, you have a problem. This could be anything from a vocalist or a snare drum. This sounds elementary, but is many times overlooked. Make sure that you look up at the band often. Look at what is happening on stage and make sure that what you are seeing is lining up with what you are hearing. As well, when a sound guy has his eyes glued to his sound board it’s not good. It’s always good to keep as much eye contact with the band as possible. You never know when a performer may need a monitor mix adjustment (if you don’t have a separate monitor tech). As well, it’s good to keep a watchful eye for fallen microphones or other surprises. I’m a happy sound guy! No one wants to deal with a grumpy sound guy! Keep a positive attitude. The band will perform better because of it and inadvertently, your mix will sound better!